Graphic interface to cron scheduler. Is there a better alternative to CronniX? Is CronniX really the best app in System category? Will CronniX work good on macOS 10.13.4? 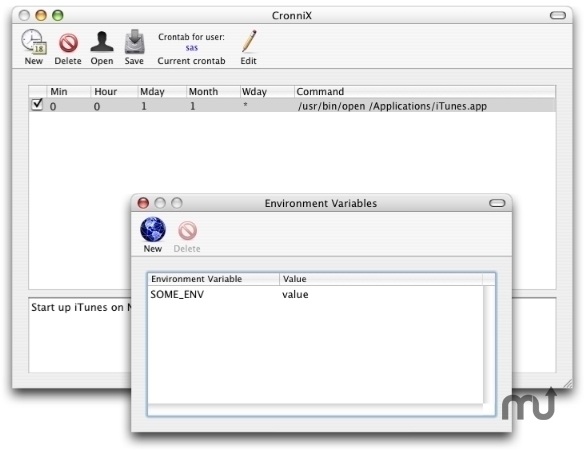 CronniX is a GUI frontend to the powerful Unix tool "cron". Cron is a Unix system service that allows scheduled execution of scripts, programs, applications - in short anything that can be started from the command line. This includes OSX applications and AppleScripts.